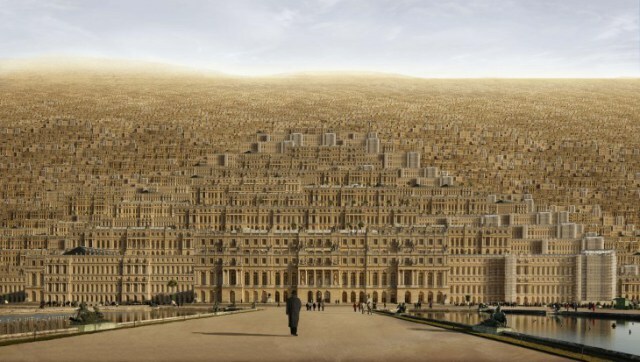 Roy Lewis has sent two marvelous illustrations, below, that remind me of my post on the “Hyperphotography of Jean-François Rauzier,” in particular his “Versailles,” above, which I used to illustrate a number of posts a year or so ago. When I first saw a smaller version of “Versailles” I thought it was a field of wheat. Feel free, indeed feel empowered by the link offered for free on this blog, to visit the website of Jean-François Rauzier.